Pitcher Aaron Blair’s (Marshall) first performance of the season helped lead Yarmouth-Dennis to a season opening victory over Falmouth last Thursday. Blair hurled five innings with eight strikeouts in Thursday’s game, only allowing for two hits the first three innings. Blair is a sophomore from Las Vegas, Nev. During his true freshman year, Blair made seven starts and appeared in 12 games. During his career at Marshall U, Blair has 116 strikeouts in 120 innings. In 2011, Blair was named to the Conference USA All-Freshman team. 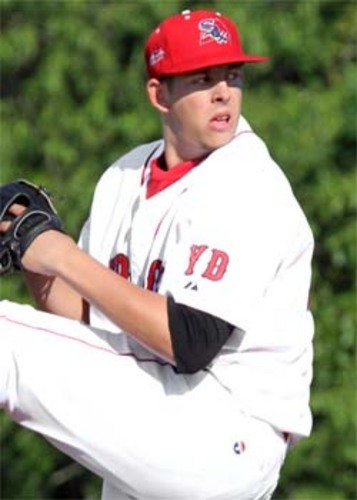 With the first weekend of the season in the books, Mike Ahmed (Holy Cross) starts the season off strong and with some impressionable performances. In Bourne’s season-opener vs. Harwich Thursday, Ahmed showed his strength with a home run and three RBI. Ahmed made his mark in Friday’s game vs. Hyannis. 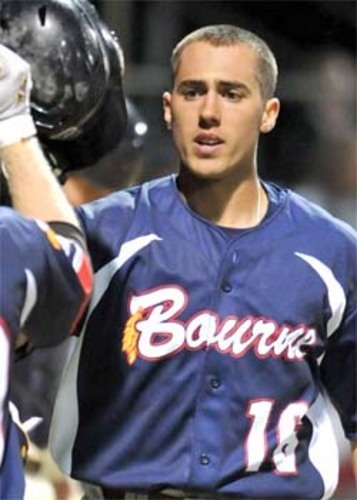 In the Braves’ home opener, Ahmed went 4-for-4 and drove in the game-winning run that earned Bourne’s 3-2 victory over Hyannis. Following Sunday night’s game, he finished this week batting .467. Ahmed hails from East Longmeadow, Mass., and is currently attending Holy Cross. In 2011, he finished with a .265 batting average, scored 21 runs and tallied 26 hits and 10 RBI.